I am pulling out of my driving when a guy walking his dog starts running down the street toward me. I continue to pull out of my driveway, my mind racing…what does he want? Did my dogs jump the fence and attack his dog? He waves me down and I roll down my window. 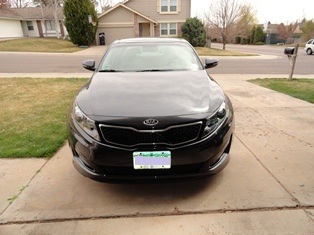 I love my Kia Optima. 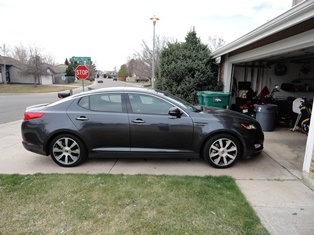 I also just realized that I have not taken any pictures of my car yet – what is WRONG with me. UPDATE – today I took a couple pictures of my car – Pretty. « Really Someone Said NO?